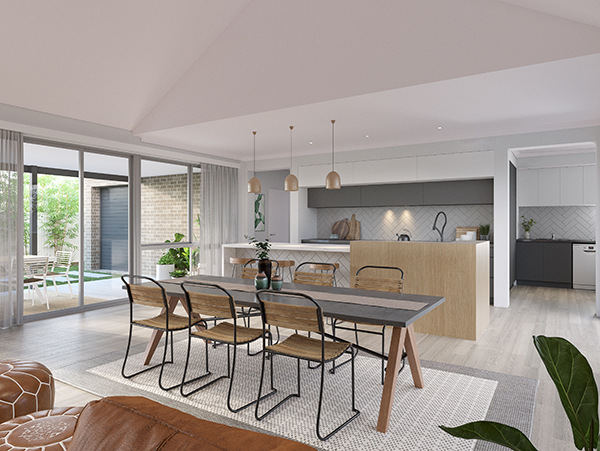 Enjoying the leafy surrounds of the foothills whilst still being connected to the city will become a reality for the winning bidder of this year’s New Level Telethon Home at Satterley’s The Hales Estate, the chosen location of this year’s home. Satterley and The Hales Estate have generously donated part proceeds from the 450sqm block, with a stunning 2-storey home to be built by luxury building company, New Level Homes in Perth, part of the InVogue family and owned by JWH Group. The 2018 New Level Telethon Home at The Hales, has been custom designed to make the most of indoor/outdoor living. With the main living areas joining a beautiful oversized alfresco area making the most of the beautiful natural surroundings. Upstairs features an opulent master suite flooded with natural light. Design features: four bedroom, two bath, study, theatre, massive open plan living, dining and kitchen. “We are so proud to be able to showcase our advanced build techniques and design innovation this year in our stunning New Level home” said Jim Ilias, InVogue General Manager. The custom New Level home will be built along The Hales’ Evergreen Grove which is located adjacent to the landscaped parkland that will complement the entry to the estate. Designed with contemporary liveability in mind, The Hales will feature quality public open spaces, with all houses centred around a substantial strip of parkland. The Hales is landscaped to retain the natural features of the site; built around existing native Marri and Jarrah trees and the trickling waters of Crumpet Creek. The Hales is yet another example of a Satterley community that will feature 10 landscaped parks and two playgrounds. 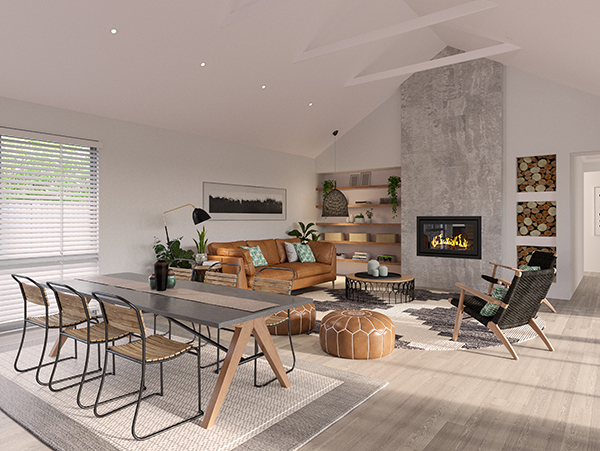 This is your opportunity to live surrounded by tranquil natural bushland and waterfalls while connected to the Perth CBD. Construction has recently just finished for the brand new park and playground which is suitable for children of all ages. Once complete, The Hales is expected to be home to more than 1,100 residents providing a mix of affordable single residential lots, 2 storey terrace housing and group dwellings. Since 1968, Channel 7’s Telethon has raised $268 million via the people of WA and continues to financially support the medical and social wellbeing of children and young people and fund research into children’s diseases. Over those years, Telethon has provided much needed financial assistance to over 150 different organisations across Western Australia. Mr Satterley and his wife Denise have been involved with Telethon for over 40 years, the longest running television appeal in Australia and the highest funding telethon per capita in the world and Mr Satterley has been the Patron of Telethon Speech and Hearing, a beneficiary of Telethon, for the past nine years. JHW Group has custom designed and built the Metro & Regional Telethon Home for the past 13 years and again is proud to be building The 2018 New Level Telethon Home at The Hales. This year’s Telethon weekend will be held on Saturday, October 20 and Sunday, October 21 at the Perth Convention and Exhibition Centre. The auction for the 2018 New Level Telethon Home at The Hales will be held on Sunday October 21 from 11am. *Images are an Artist’s Impression and the final product may look slightly different.